Information is entered and viewed on screen layouts designed for the computer screen, then printed in reports designed for paper, as shown in the reports section. 1. 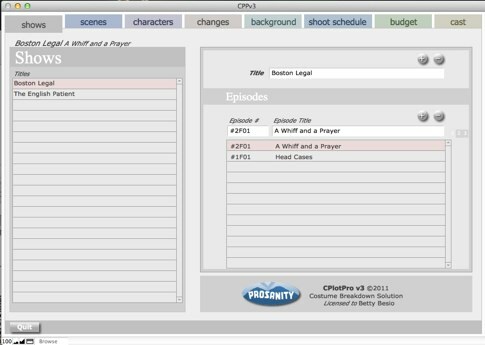 The program opens to the MainMenu where shows are added, edited, deleted and selected to work on. NEW: Episodes within Shows now available.